Vietnam-based garment producer, Garment 10 Corporation (Garco 10) has announced that they are prepared to invest in the export of Tanzania cotton if producers in the country are able to guarantee a sufficient quantity as well as the quality of the cotton supply. According to the President of Garco 10, Giang Duc Vu, the company currently imports its cotton from the US and India, but are eager to explore additional opportunities in Tanzania. “We import our cotton from the United States and India, but are also ready to import even from your country if you can guarantee us the quality and quantity we need,” he said to the Tanzania President Jakaya Kikwete during his recent visit to Vietnam. Mr. Giang went on to indicate that he would also work as the chairman of Vietnam Textile and Garment Association (VITAS) to encourage the growing Vietnamese textile industry to take advantage of the partnership with the Tanzanian cotton industry. Over the past decade, Tanzania has seen low cotton productivity, quality and level of mechanization; however stakeholders in the Tanzania cotton industry embarked in contract farming in 2010 that was implemented throughout the country’s Western Cotton Growing Area (WCGA). 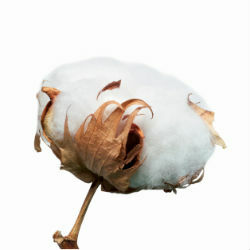 According to figures from the Food and Agricultural Organization (FAO), Tanzania currently represents the fourth-largest producer of cotton in Africa behind Mali, Burkina Faso and Egypt.